Performers include: James Spader, Megan Boone, Harry Lennix, Diego Klattenhoff, Ryan Eggold, and Ilfenesh Hadera. Raymond “Red” Reddington (James Spader) is a former government agent but has been one of the FBI’s most wanted fugitives for decades. Known as “The Concierge of Crime,” he has brokered shadowy deals for criminals across the globe. Things take a strange turn when he mysteriously surrenders to the FBI with an unusual offer. He offers to help catch a long-thought-dead terrorist named Ranko Zamani — under the condition that he speaks only to Elizabeth “Liz” Keen (Megan Boone). Liz is a rookie FBI profiler with seemingly no connection to the master criminal. Zamani is only the first of many on a list that Red has compiled over the years. He has a “blacklist” of politicians, mobsters, spies and international terrorists. He will help authorities catch them all — with the caveat that Liz will continue to work as his partner. He’ll teach her to think like a criminal and to “see the bigger picture” — whether she wants to or not. Naturally, these events concern Liz’s associates like FBI Assistant Director Harry Cooper (Harry Lennix), FBI agent Donald Ressler (Diego Klattenhoff), and her husband Tom (Ryan Eggold), an easygoing guy who has a few secrets of his own. What do you think? Do you like the sound of The Blacklist TV series? Do you think it will be cancelled or renewed for another season? J.Chrobak, We like the Show We look forward each week for it. Love the story. The Characters are Great. I will be thrilled if the Blacklist continues forever. It’s a Dynamite show and James Spader was the perfect person to portray Reddington!! Please keep it coming!! I do not like that Red’s escape from prison was thwarted by Liz. The writers have got to get Red out of prison. I do not like this story anymore. Get him out he was a successful fugitive anyway. Get him out of prison. Love this series. I rarely watch TV, but this show has me hooked. I watch over and over again from Season 1 onwards. I love this show. 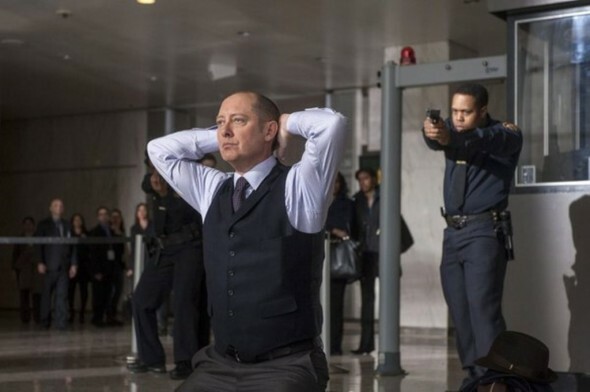 Spader is completely brilliant, both dangerous and hilarious, a blend difficult to achieve. I am confused, however, as to how an identity change would abruptly make Red NOT Liz’s father, since DNA testing already confirmed. Regardless, I really want this saga to continue. There are still surprises left to investigate and the prospect of losing yet another show I love is an unwelcome one. I love this show. I hope it is NEVER canceled. Absolutely love this show. I hope it stays around for a long time. This is the best show! WE (VIEWERS) NEED MORE!!! We need many more seasons and more Reddington❤️. Please don’t cancel this show. PLEASE don’t cancel this series. James Spader is an outstanding actor. However, I do not like the court and jail ordeal he has been going through. Elizabeth has convinced herself that Red killed her real father, thanks primarily to the machinations of her half-sister. Please get her straightened out! Elizabeth figure out she actually shot her father when she and her half sister visted the ruins of the house where the fire was. But she still thinks this man someohow lied to her. He didn’t. He just didn’t tell her everything. That’s not lying. If she finds out the truth about this man claiming to be Raymond Reddington whats the point of continuing the series? The mystery will have been solved.